Corruption has a long and distinguished history in Albany, but it’s doing particularly well for itself this year. Among the state lawmakers convicted or sentenced this year alone, two are from the city. And the corruption trial of Sheldon Silver, the former Democratic leader of the State Assembly, continues in its third week, but the prosecution may wrap up its case today or tomorrow. In Federal District Court in Manhattan, the government has made much of Mr. Silver’s connections to Dr. Robert N. Taub, an oncology specialist who ran a cancer research clinic at Columbia University. Over the years, the doctor sent patients to Weitz & Luxenberg, where Mr. Silver was “of counsel” and which handled cancer-related lawsuits. Mr. Silver, according to the charges, got a cut of any settlement made from those referrals — possibly totaling around $3 million. And this week also sees the start of the trial of Dean G. Skelos, the former Republican leader of the State Senate who represents part of Long Island, and his son, Adam. 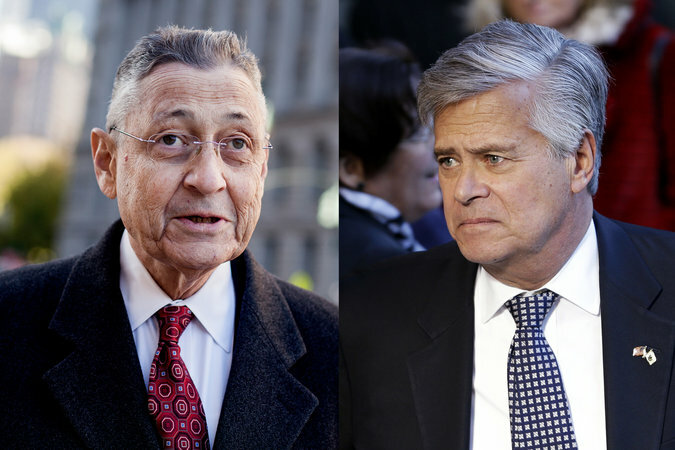 The two are accused of using the elder Mr. Skelos’s position to their mutual advantage: getting the younger Skelos a job; pressuring another firm to hire him as a consultant; and using pending legislation to encourage a firm to pay him $20,000. The concurrent trials mark a corruption milestone for Albany: it’s the first time that cases against two lawmakers of their stature will play out in court at the same time. To any doubters of Albany’s reputation as a destination for deception, a Museum of Political Corruption there is in the works.